Bern shouted but his words were unheard as they continued to rise. My God, the wave was cresting up. The water became raging froth everywhere. It was in the life-raft and Kristin felt herself being lifted. She could see only white surf but beneath the surface, the current wasn’t too strong. White water turned to green. Her left leg bumped something and a wrenching pain shot through her body. She was disorientated and appeared to be upside down. She held her breath and kicked. Damn clothes clung to her and attempted to hold her down. She kicked again and saw lighter water above. The surface! With stinging lungs, she broke through and gasped in air. In front, a gigantic wave was about to crash over her. Kristin let herself drop and the breaker disappeared. She was again in relatively quiet water where she could control her movements. But this was only for a second. The next wave crashed over her, she was picked up and dumped down with a thump that drove air from her lungs. Water replaced it and her lungs sent out a spasm of pain. This was worse than when they escaped from the U-boat. Her head broke the surface again, she spat out water and found that, though she couldn’t touch the bottom, everything was calm and she could tread water. Kristin gazed around. She was in rolling calm water. They were inside the reef. Relief was replaced by anxiety. The words were not in German but English, a language she’d learnt at grammar school and university. She had not, though, used it for years. Another shock greeted her as she turned. 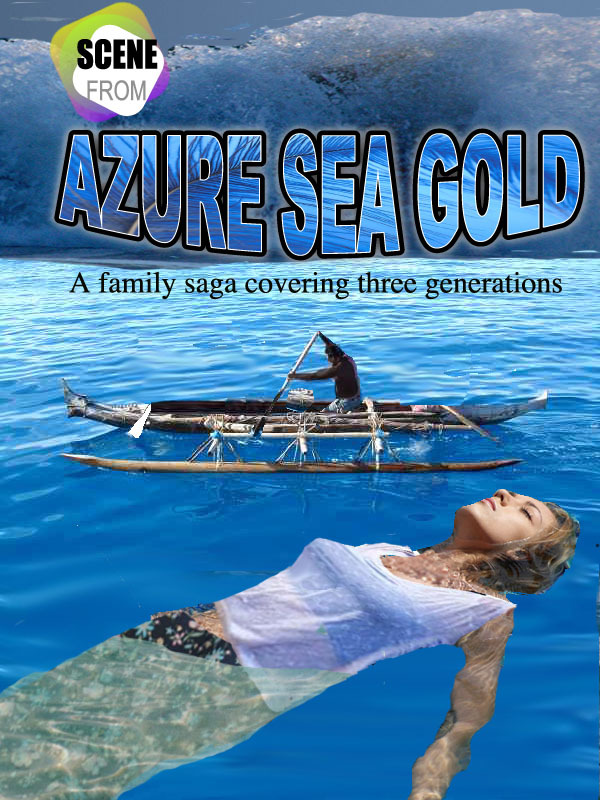 A man, dressed only in swimming trunks, stood in a large canoe and held a long pole out to her. He was tall and was as slim as a pole. This wasn’t so unusual. What was different was that the man’s skin was black. She had never seen a black man before. Big brown eyes stared at her. “Do you speak English, baby?” he asked. “A little,” Kristin gasped. Even though her knowledge of English was quite good, the man’s accent was difficult to understand. Seconds later she had her arm over the side of the canoe. She gasped and began to breath fresh air. It was Johan in difficulty. He was awake, almost too awake. He thrashed around in a state of panic. The black man maneuvered the boat with skill and skimmed in beside him. He bent down and hauled the gasping sailor aboard with one mighty heave. An arm grabbed Kristin and Petra’s face appeared centimeters away. Eyes linked on hers. Kristin reached out and held on until her friend managed to grip the side. “Here,” a male voice called. Bern had an arm over the other side of the canoe and was grinning at her. “German?” the man interrupted and Kristin felt apprehensive. The tone was matter-of-fact but not antagonistic. “Thank you, Danardo. How did you get here to…err… rescue us?” She spoke hesitant English as she searched her mind for the correct word. Kristin frowned. Trying to translate English after all these years was difficult but Danardo’s accent made it almost impossible. “He said he was fishing and we were foolish trying to cross the reef here,” Bern said in German.